Cats and Dragons go together like chocolate and peanut butter, like Bogart and Bacall, like monkeys and bananas. 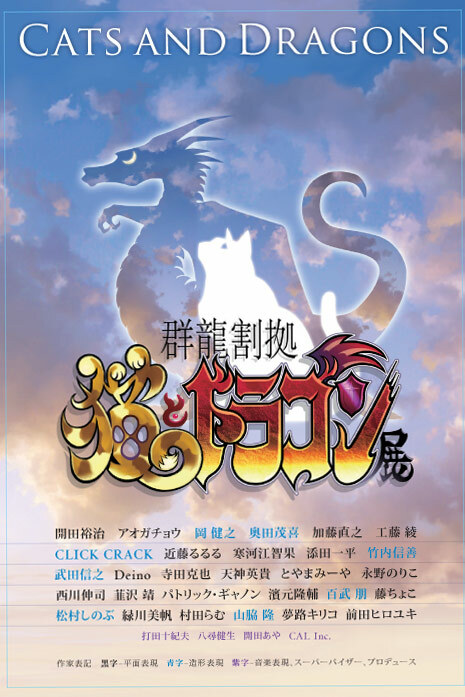 Alright, I admit that I can't actually fathom how the cats and dragons put their not-even-remotely-the-same-sized heads together to plan out this exhibition. I imagine clandestine meetings deep inside massive, flame-lit caves filled with catnip. Conspiratorial whispers puncture the night air as Machiavellian plans are wrought. In the end, the cats get their way. They always do. Most importantly, it looks like there's a very, very good chance that I will be able to attend the opening day of the exhibition, on October 21st, at the Tokyo Metropolitan Art Museum in Ueno Park in Tokyo. A brand new piece of cut-paper art on a big ol' chunk of wood was created just for this show, where it will hang along with the works of about 30 other esteemed artists. A wide variety of media and professions will be on display, from illustration and video game design to fine art and a slew more. The 2013 Cut Paper Art Calendar Campaign - Join the Cause!